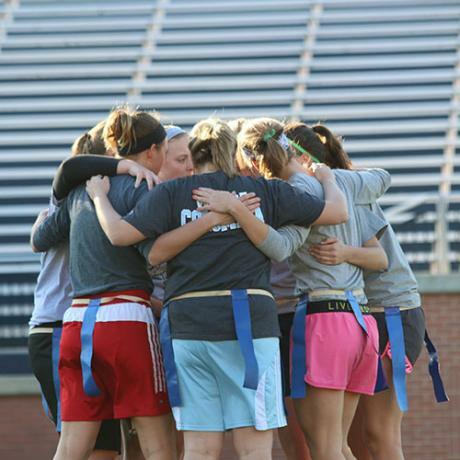 Butler Men’s Club Lacrosse will be doing our fundraising through ReachingOurGoal.com again this year. For information on how you can donate, please contact your favorite Bulldog Lacrosse Player, or feel free to tweet at us @BULacrosse. Any contribution towards gear and referee fees is very much appreciated. Butler Men’s Lacrosse Club had their end of the season meeting to elect the officers for the upcoming season today. We’re excited to see where this group takes the program. 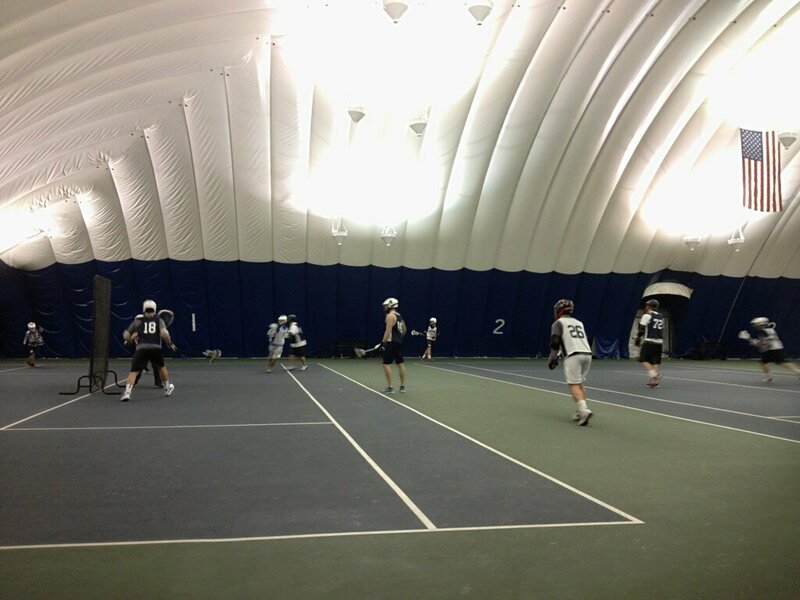 The Butler University Men’s Lacrosse team is utilizing the “Bubble” to get ready during the winter season. The indoor facility allows the team to practice in live situations earlier in the preseason. The spacious facility is 200 feet long, allowing for practice set-up that a normal gymnasium setting would not allow. 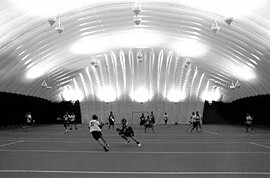 “The Bubble” includes space for a variety of drills that could not necessarily be performed in a normal gym. The heated facility is used primarily by the team from mid-January through February. The lacrosse team also benefits from the room that “The Bubble” has to offer, as the Bulldogs are able to simulate game-like situations before stepping foot on the field. The 17 year old structure was home to the NCAA D1 Lacrosse Team from 1997-2007, as seen here.